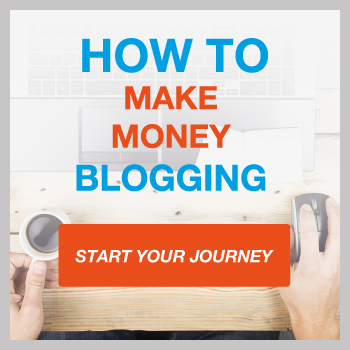 In the case of blogging, a blogger will become an affiliate of a selected company and make money from being an affiliate by placing a link, button or banner within a blog post that will lead the readers to that affiliate products or services. A good blogger and affiliate will utilize a number of different marketing channels to promote content. Just as with any blog post, utilising good SEO strategies and driving traffic from search engines can be a good source of quality traffic. The skyscraping technique is a great way to not only rank for loads more keywords naturally, but also to generate links to your content by becoming the best and most comprehensive resource on the web. It’s a common tactic used in online marketing for building organic traffic. The majority of affiliate marketers pay for their traffic via platforms like Facebook, Google Adwords and other ad networks. For me I’d rather gain traffic for free via search engines and social media networks. There are several options when it comes to joining an affiliate network. It would be also be wise to join several, so that you have a variety of products and/or services at your disposal to write about and a wealth of affiliate commission. You can become an Amazon affiliate really easily. Click here to find out more. If you’re interested in learning more about these affiliate networks then you might want to check out my in-depth comparison of the top affiliate programs. How Affiliate Marketing Works – Rae Hoffman (SugarRae) has a great visual explanation for how the affiliate marketing process works, from the initial signup to getting paid. Affiliate Marketing 101: Learning the Lingo – This glossary by Affiliorama gives a good rundown of the jargon you’ll come across in the affiliate marketing industry. The Rise of Dr. Ngo – This multi-part series from Charles Ngo is one of the most honest, in-depth accounting of an affiliate marketer’s successes and failures. Getting through all eight parts will take you a while, but is absolutely worth your time. Affiliate Marketing 101 – Ahmad Ben is documenting his journey from the 9-5 to becoming a full time internet marketer. His post on Affiliate marketing is a great primer for beginners. I believe affiliate marketing is by far the most popular and can also be the most lucrative business model out there. So many positives to it that make it stand out compared to other traditional business models, like franchising for example. Good to hear it Tim. Keep us posted with your progress. Hi Jamie. Just a couple of questions for you regarding affiliate marketing. 1. What are the steps/requirements to get started in affiliate marketing? 2) Being new in the business, what type(s) of online businesses can be started up? It is often a lot easier to have a website already set up so that the affiliate managers can approve you. You will then have to sign some tax forms, agree to the merchants terms and conditions and give them your bank details or Paypal account so you can be paid. Thanks for the detailed guide on Affiliate Marketing!! Looking forward for more valuable content like this… cheers. I’ve had some success with Affiliate Marketing recently and its extremely rewarding. You can build a true business with residual income if you work hard and provide real value. This article is really informative and a great starting point for anyone trying to get in the industry. There’s gold in the first paragraph under the headline”Things to Avoid with Affiliate Marketing”. My takeaway from that message is to help others solve problems like you would a friend or family member and you’ll be rewarded more times than not. I practice this in my business and can verify it works amazingly!